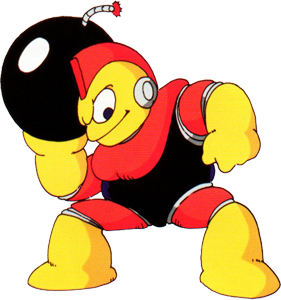 Bomb Man is one of the first Robot Masters, the stage bosses in the MegaMan series. In Japan he is known as Bomberman. 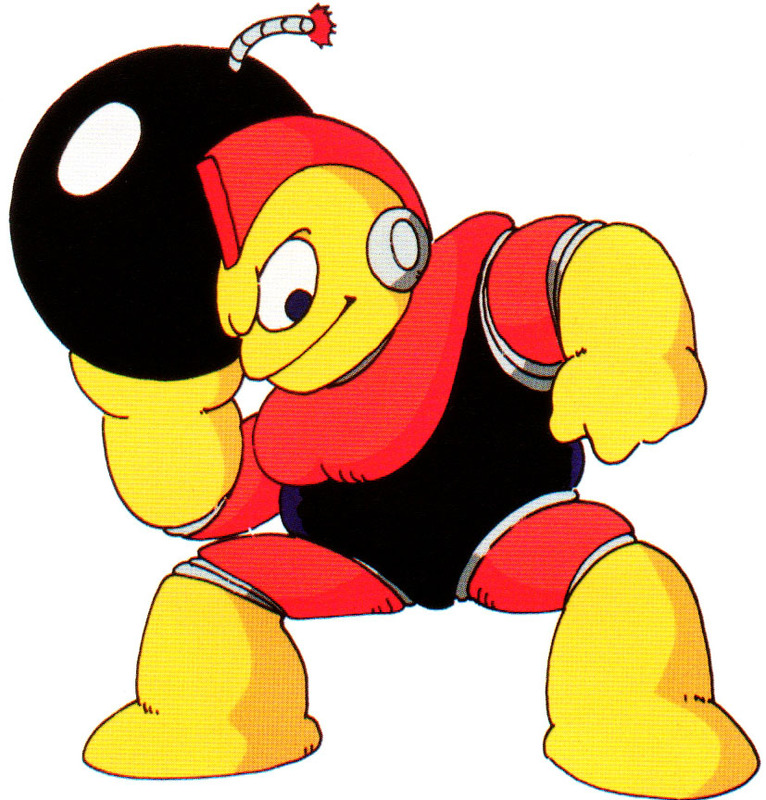 Bomb Man debuted in the first MegaMan game in 1987 and returned in all remakes of the game as well as in MegaMan Soccer , the Interactive Movie Super Adventure Rockman and was playable as an unlockable character in MegaMan Powered Up (2006) for the Playstation Portable. Bomb Man uses mainly Bombs to attack. 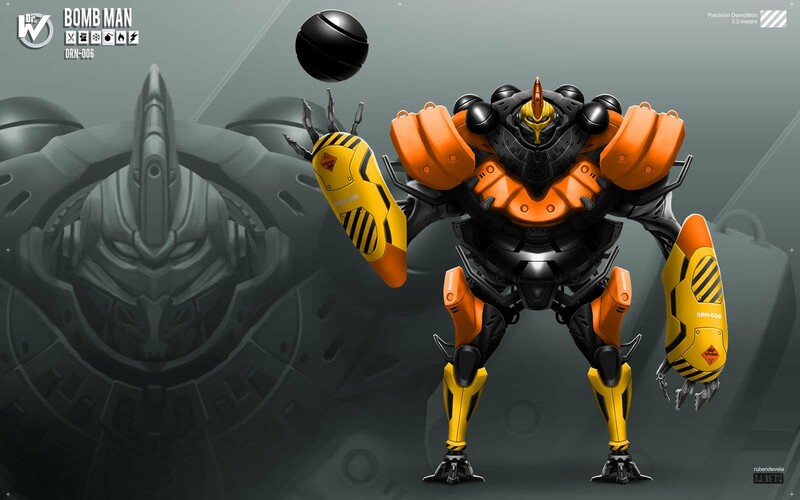 If Mega Man beats him he obtains the “Hyper Bomb” Weapon and can throw Bombs in a small arc. 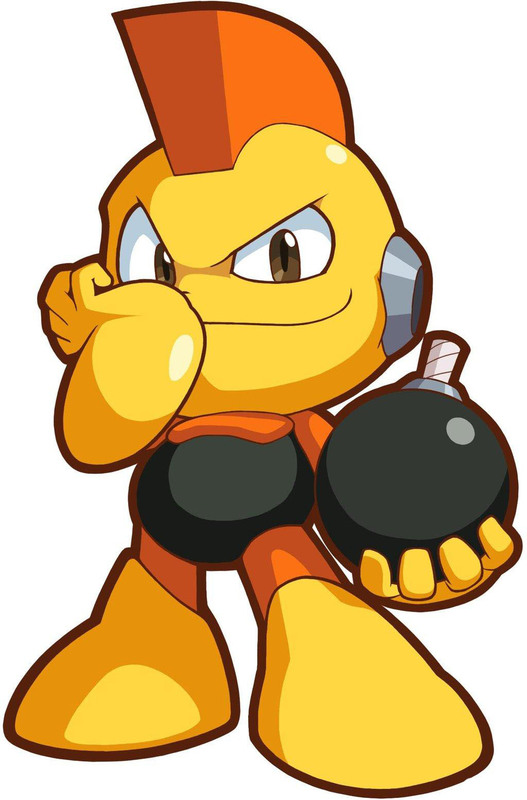 Bomb Man is vulnerable to Fire Man’s Firestorm Weapon in the original MegaMan and to Cut Man’s Rolling Cutter Weapon in MegaMan Powered Up. 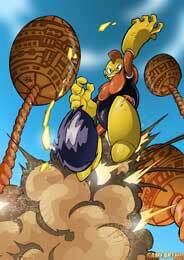 Bomb Man was drawn by Joel Sousa for our MegaMan 25th Anniversary Art Tribute in December 2012.